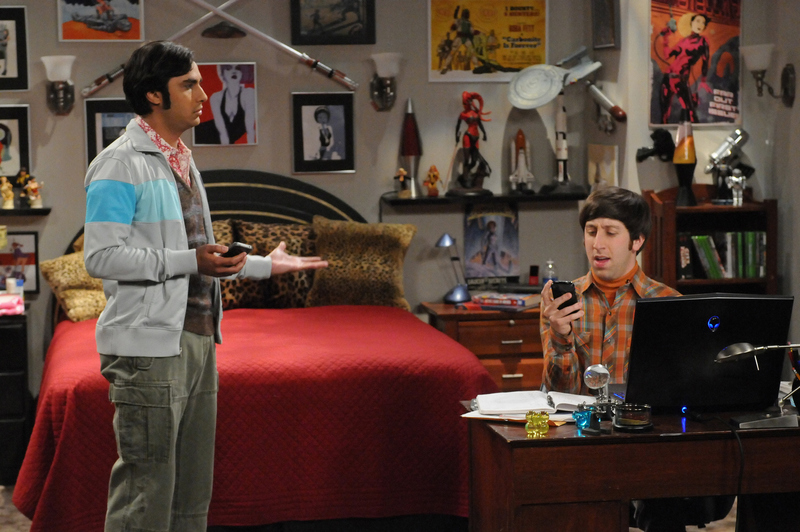 Sheldon's selfish demands force Leonard to reconsider their friendship. Meanwhile, Koothrappali (Kunal Nayyar, left) helps Wolowitz (Simon Helberg, right) pick his astronaut nickname, on THE BIG BANG THEORY. Photo: Michael Yarish/Warner Bros. ©2012 Warner Bros. Television. All Rights Reserved.